Cardio vs. Weight Training: Which Is More Effective for Weight Loss? Many people who’ve decided to Lose Weight find themselves stuck with a tricky question — should I do weight-training or cardio? 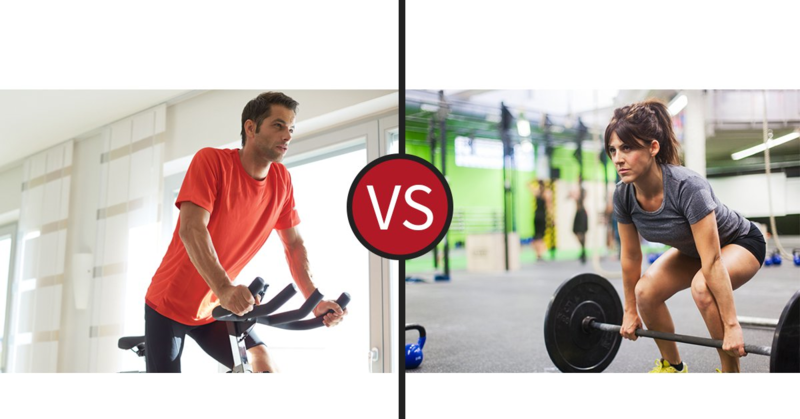 After all, these are the two most popular types of workouts, but it can be hard to know which is a better use of your time. In this article I will disclose these two popular training methods and where you should focus your energy in order to reap the best results possible for your hard-spent time. There has been a lot of research done on how many calories people burn during various activities. Duration, intensity and body weight are all taken into account in order to estimate the caloric burn an individual will yield during different types of exercise. On the other hand, if you weight-trained for the same amount of time, you would only burn around 130–220 calories. Therefore, in general, you’ll burn more calories in a cardio session than you will in a weight-training session of equal time and effort. Because of this, it is commonly said that building muscle is the key to increasing your Resting Metabolic Rate (RMR), which is how many calories you burn while sitting around doing nothing. While this may not sound significant, it’s important to realize that weight-training and building more muscle will increase your RMR long-term. Typically, a HIIT workout will last about 30 minutes and you can use a variety of different techniques, including sprinting, biking, jump roping or other body-weight exercises. The American College of Sports Medicine (ACSM) is one of the largest and most respected organizations to give evidence-based recommendations on exercise for weight loss. Overall, the ACSM states that less than 150 minutes per week of moderate or vigorous physical activity like cardio is probably not enough for weight loss. However, it states that more than 150 minutes per week of this type of physical activity is sufficient to help produce weight loss in most people. Which Types of Exercise Should You Do? Interestingly, ACSM’s review of the research found that weight training is not very helpful for weight loss. However, it is important to remember that even if your weight doesn’t change, your body composition may be improving. For example, weight training can lead to an increase in muscle and a decrease in fat. If your muscle and fat change by the same amount, the scale may stay the same, even though you are in a far healthier state. One large study in 119 overweight or obese adults helps put everything into perspective regarding exercise and weight loss. After eight months, those who did cardio and cardio plus weights lost the most weight and body-fat. Meanwhile, the weights and cardio-plus-weights groups gained the most muscle. Therefore, overall, the cardio-plus-weights group had the best body composition changes. They lost weight and fat, while also gaining muscle. 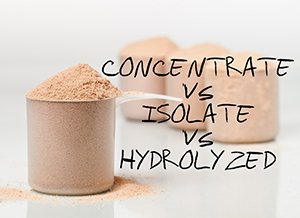 This means that a program that combines weight-training and cardio together is proven to be best for improving one’s over-all body composition (muscle mass vs. fat mass ratio). Commitment to the best exercise program is not enough, as you still need to pay attention to your diet if you want to optimize your progress. And while some people believe that an exercise is the critical factor for weight loss, others say that the diet is the only thing that matters. One scientific review including over 400 people examined the weight loss effects of diet plus exercise and compared them to the effects of dietary changes alone. What’s more, the programs that included diet plus exercise were also more effective than a diet alone approach for maintaining weight loss in the subsequent years. Both cardio and weights can help you become healthier and more fit. A cardio workout burns more calories than a weight-training workout up-front. However, your metabolism will stay elevated longer after weight-training than cardio, and weight-training is better for building muscle. Thus, the ideal exercise program for improving body composition and over-all health includes weight-training and cardio, so for the best results do both and preferably together.